One of my favorite bands, Horsefeathers, has a song called “Cascades.” It’s really not pertinent to this review of One Drop’s yoyo the Cascade, I just figured you’d all like to know that. This is a yoyo that I have anticipated for some time. I had the opportunity to play a prototype (the black one that you may have seen floating around). It was nice, but it wasn’t great. A little too much center weight for my personal taste. For a wide throw, I expected something with a lot more rim weight and balance. But… when I found out that One Drop had decided to go back to the drawing board and make some minor adjustments, I was very excited to see what would emerge. “It went through three different iterations. Version 1 was a source of contention here at the shop. Everyone disagreed about liking it and some vigorous debate took place. However, we did all agree that it needed changes but we were on the verge of scrapping it. Justin “Vendetta” Lotempio was visiting us at the time and convinced us to at least try a revision. 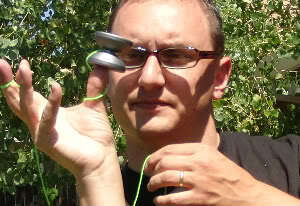 Version 2 was much improved and everyone agreed it was an awesome yo-yo that really felt and played different. In addition, the Cascade had a few objectives: wide, curvy/organic, mid-size (53 mm), and side effects. Let’s put the Cascade to the test! 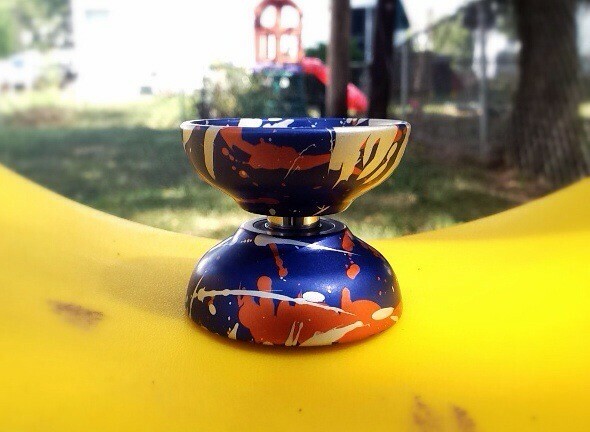 The Cascade is just a beautiful looking yoyo! Curvy/Organic. Check! To date, the Cascade is One Drop’s widest throw. Wide. Check! 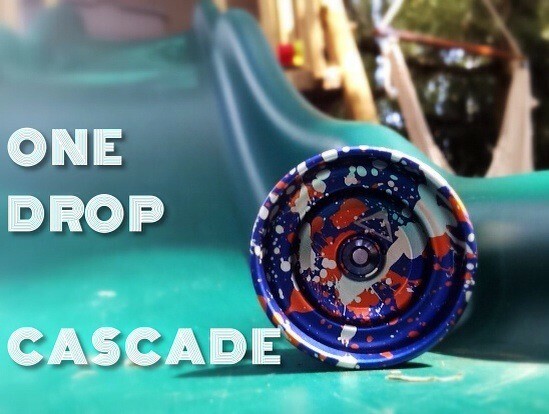 Before the Cascade One Drop did not have a true mid-sized throw in their arsenal. Mid-sized. Check! 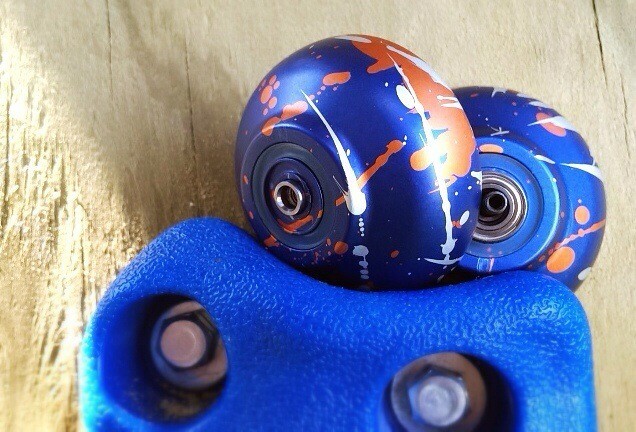 And of course, the Cascade is Side Effect enabled, allowing the thrower to customize the look and weight. Side Effects. Check! From a construction and design perspective, One Drop has achieved all of their objectives. I also really appreciate the simple branding engravings One Drop chose for the Cascade. Normally, I do not like engravings (on any yoyo). I prefer my throws to be simple and clean. However, I actually really like the engravings on the Cascade a lot! No words or One Drop logos, just a simple little mountain side “cascade”. You’ll also notice in the pictures that the one I have has gray aluminum Dietz side effects. As mentioned, the Cascade does come with aluminum domes normally. The aluminum Dietz are the same weight, so mine is just a visual difference. Goes to show how you can not only change the weight but also the look with side effects. There’s no IRG on the Cascade, but really not a big deal, unless all you do is thumb grinds. There is a stability sort of ring in the middle third of the cup, which could probably act like an IRG if you were to tilt the yoyo on a throw. From a glance, I really think an IRG would be a bad design move, and I’m sure One Drop has done this intentionally. I would venture to guess that adding a working IRG would mess with the weight distribution, which may not be beneficial. An IRG is nice to have (we all love thumb grinds) but sometimes things need to be sacrificed for overall better playability. As said, the Cascade is very curvy and organic. There is a very slight wall at the gap. Not a high wall, as seen on the Dang, and it shouldn’t have an affect on tricks like suicides. The Cascade is as smooth as smooth can get! On the string the Cascade is incredibly balanced. Did I say smooth yet? And it was like the Cascade was born to do arm and finger grinds. One more time. Smooth! I said in the introduction that I had the chance to play a prototype of the Cascade and didn’t particularly love it because it was too center weighted for me. Whatever One Drop did to that prototype to get what we have here in the production run, I approve. Not nearly as much center weight. 66.9 grams with the aluminum domes does not make the Cascade too heavy. This throw can go as fast or as slow as you want it to. The Cascade would be a great throw for competition, allowing the player to execute varying speed combos (making a much more interesting performance in my opinion). The Cascade has nice snappy binds. On a catch from even the hardest throw, this throw doesn’t leave your hand stinging. And as I said before, the Cascade doesn’t really have a true IRG, but there is that secondary ring that could be used for thumb grinds with some extra effort. I was able to pull off a thumb grind while tilting the throw. Overall, the Cascade plays incredible and amazing and smooth! Did I say smooth yet? The Cascade has now become my favorite throw. Seriously, there it is. That is how I feel, and you now all know. The Cascade fits all my preferred preferences: organic, perfect weight distribution, mid-sized, nice width, and so on. And from looks of it, from all the pictures and comments I’ve seen on the Cascade, I’m not alone in this opinion. The Cascade is another win for One Drop! 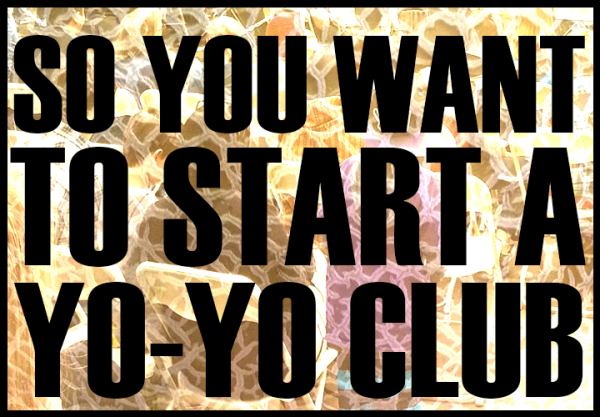 It’s a new refreshing look, but there’s no denying that it’s still a One Drop yoyo. If you haven’t picked up a Cascade yet, what are you waiting for? There are many still to be had from all your favorite online retailers. After a few throws of the Cascade, you may find yourself like me, not being able to put it down. 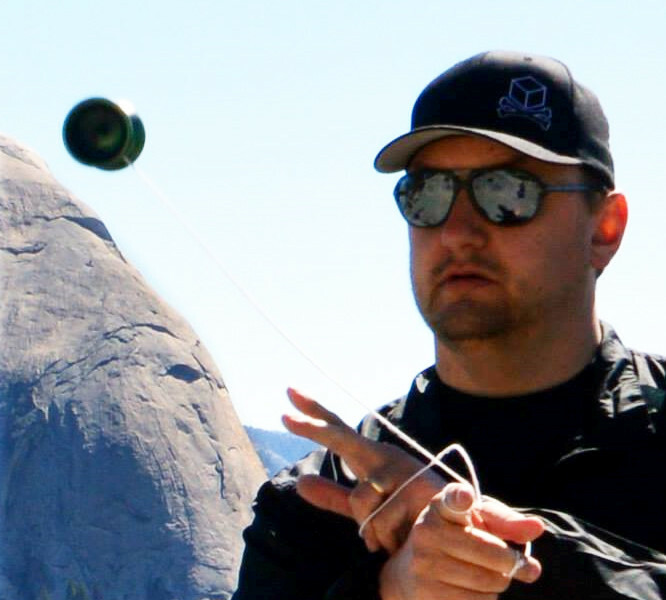 Written by Nathan “n-mart” Martsolf who worries his wife at the amount of obsession he has for his yoyos.